Winchester’s W Train & Defend line of ammunition takes a novel approach to self-defense training. 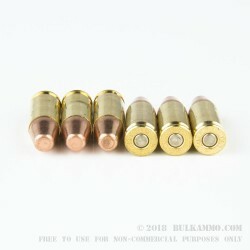 It is comprised of two ballistically matched types of cartridges, one for training and one for personal protection, both designed for less recoil but the latter with hollow point bullets. This box of 50 cartridges falls in the Train category. 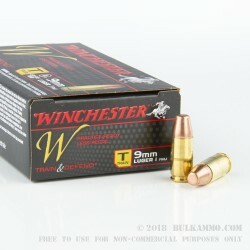 It offers a 147 grain full metal jacket projectile, perfect for extended sessions of training as it will prevent excessive lead fouling in your bore so you may enjoy more accurate shots in between cleanings. The bullets’ flat tips means they will punch clean holes through paper targets, so you can enjoy instant feedback on your performance which will help to tighten up your accuracy. 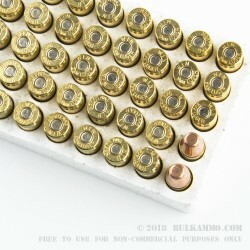 Once you have mastered firing these rounds, you can switch over to Defend cartridges and expect practically the exact same performance from them. These cartridges further offer Boxer primed brass casings, making them of particular value to a handloader. tried 3 other brands in my new Walther CCP but all had problems with failure to feed. 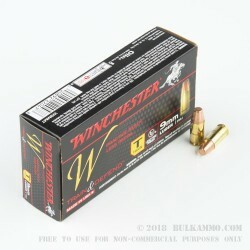 The Winchester T and D both never failed me in over 500 shots.